Four Percent Group Review 2017 & $10 Paypal Bonus (Limited Time) – Hey! Welcome to TechSnix.com and today, I am going to be doing the review of Four Percent Group. I’ve been with the Four Percent Group for almost 4 months know. Stick till the end of this post as I’ll be telling you everything you need to kn0w before joining the Four percent group. Whether the Four percent group is a scam? 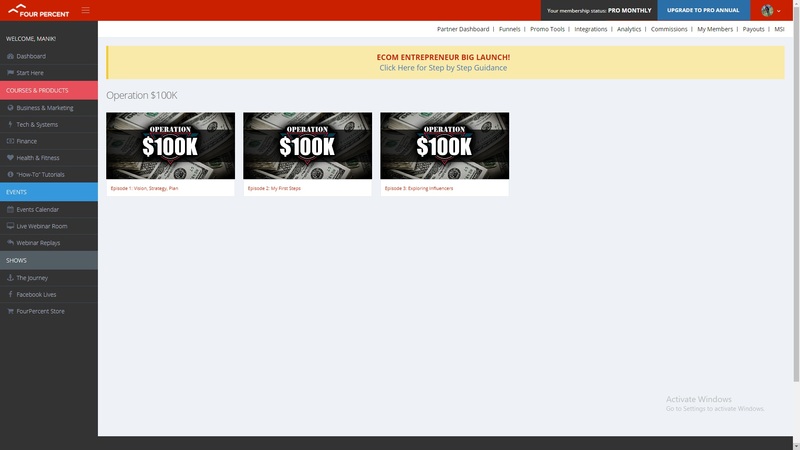 Would you be actually able to make $100k in 90 days? Minimum expenses you’ll need to pay per month. In case you decide to join the Four percent group and buy the PRO Level membership using the link below then I’ll be giving you $10 Paypal BONUS with some other really cool bonuses. In case you have any queries, you can feel free to let me know in the comments section below. Contact me directly at [email protected] if you have any queries regarding the bonus. What is the Four Percent Group All About? Vick Strizheus is the founder of the four percent group. He is one of the biggest affiliate marketers out there in the industry. Four percent group basically aims at providing the training and the SYSTEM through which people can make money in the long term through affiliate marketing and email marketing. In order to get started, you don’t need any website or a product, you’ll be taught everything from scratch and all the training will be given by the founder himself. Members Area of the Four Percent Group? You do get the access to a whole bunch of training and SYSTEM. 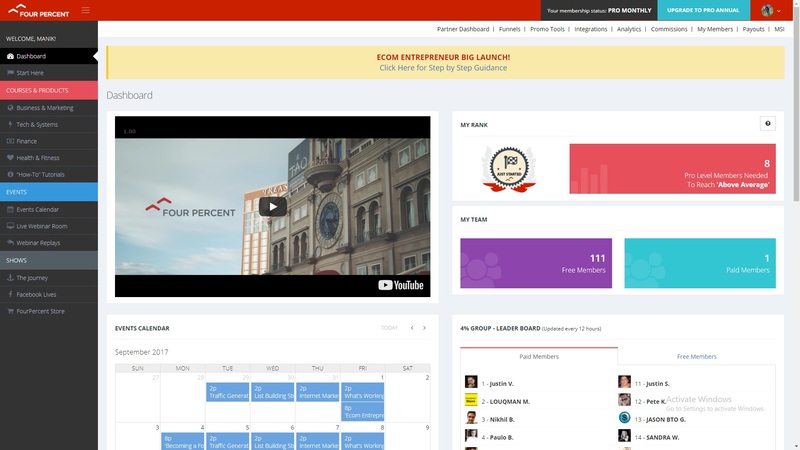 In the member’s area, when you first log in, you’ll see your dashboard which basically tells you how many members have you referred and what are your total earnings? Below this, you’ll find the 4% group leaderboard which shows the top 20 members in the whole group and some other stuff like news, and events. Below the dashboard option, you’ll see ‘START HERE’ option. This is a step by step guide that’ll guide you through everything. 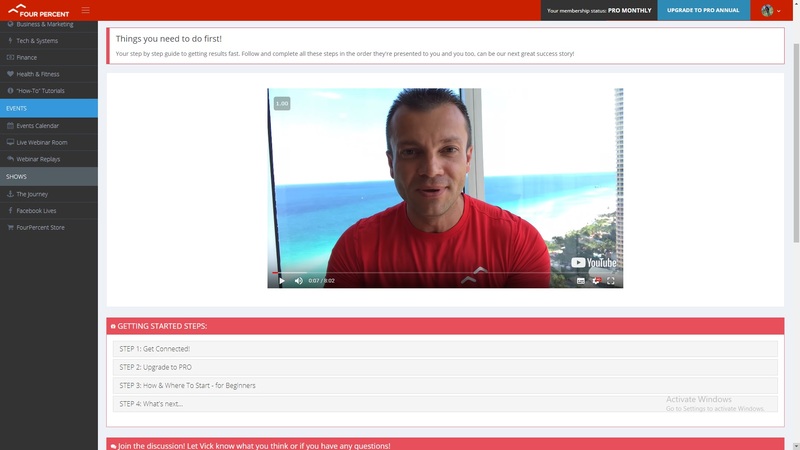 As soon as you click on it, you’ll see an introduction video where Vick will explain what all will you learn and what’s the reason behind you not getting the results you deserve if you ever tried making money before. After the introduction video are the steps with full plans such as funnels set up, payments set up for Activating multiple streams of income and the last step is ‘Start Operation $100k training’. MY OPINION: This is where all the fun begins, After going through the starting Steps it is likely that you’re gonna feel MOTIVATED which is something very important for anyone. This happened to me as well. Also, the comments that you’ll see there by the people are very positive which is another really good thing. So the last step is is to start your $100k training. The founder’s goal is to reach at $100,000 (most likely in 90 days). Currently, only 3 episodes are available. If you’ve never done email marketing or affiliate marketing, you’re gonna learn a hell of a lot things. In the Operation 100k training, Vick basically makes unscripted videos where he does all the things right in front of the camera. 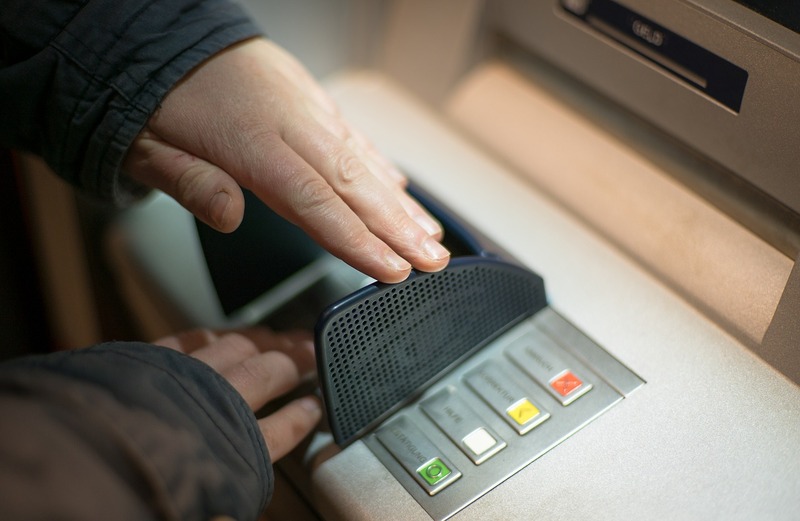 He tells his exact planning to earn $100k in the shortest time possible. This is something that is gonna interest you a lot. Each episode consists of 4-5 steps with an introduction video for all the episodes. I personally have learned a lot of new things which I never knew before going through this. You’ll learn everything that you need to know in order to start generating money – the right way. To reach this goal he takes a high ticket product which sells for $1997 (within the 4% group). 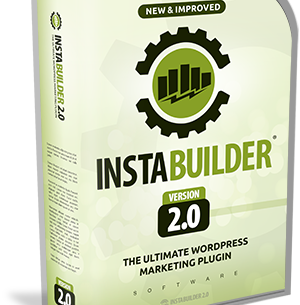 You’ll learn how to get leads, run a solo ad, get traffic to your lead pages and much more things that if I was to cover, would’ve taken 2000 to 3000 words more. In short, this is something that you guys are gonna like a lot if you are interested in making money online. If you are new to this field, you’re definitely gonna learn a lot o new things in every single episode. WHAT DO YOU DO IN ORDER TO GET PAID? If you get paid by all of the 7 to 8 companies (in case) you’ll get well over $5k commissions from a single person. If anyone wants to earn BIG money, this is something that they’ll anyways need to purchase. These are the things that are generally required by every marketer out there in the industry. If you’re able to make 2 sales in your first month, it is likely that you’ll cover all your monthly costs. Once you start getting more sales, you’ll earn a lot more and then you’ll truly understand why the above things are so important to have. Also, this is something which not a lot of people are willing to do which is one of the reasons why those people are not succeeding. For e.g if you are not building a list, and you are sending traffic directly to the sales page, You are leaving a lot of money on the table. Once the sales process is completed that’s it, you’ll never be able to monetize that person who actually went on to buy the product. Building a list will allow us to make more money in the long term. Even if you don’t have a website but if you have a list, you can easily make a good amount of money using it by promoting relevant products to them which provide them with some value. Is it a Scam (Four Percent Group Review Honest)? No, it’s not. 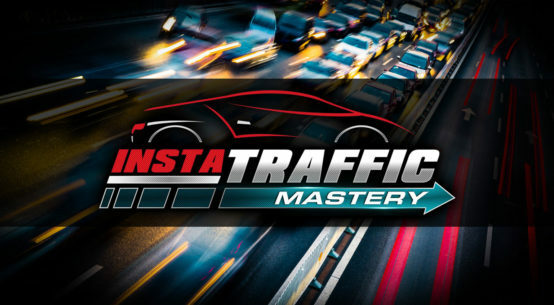 In fact, this is one of the best programs that I’ve ever found on the internet. I’ve tried CB Passive income as well but that didn’t work well for me. In this whole course or program, I’ve been able to learn so many new things which I didn’t even know earlier was necessary to do. Now, I’ve realized that how much money I could’ve made easily if I would’ve got to know about this program earlier. You’ll learn how to promote any product in the industry (the right way). Fantastic training inside Operation $100k. 7 different companies would pay you. Great for building a passive income. Proper Funnels are provided with pre-written emails. You’ll learn a lot for sure. Not for the lazy people. Over $100 Expenses for the tools (required anyway). Not for the people who are not willing to give proper time. Also, if you decide to join the four percent group and buy the PRO Level membership using the link below then I’ll be giving you $10 Paypal BONUS with some other really cool bonuses. In case you have any queries, you can feel free to let me know in the comments section below. 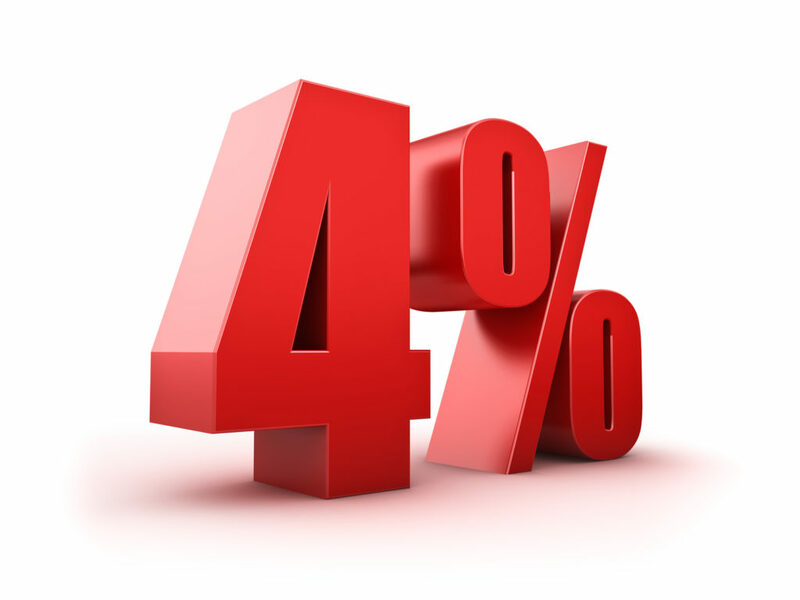 Hope you found my post on the Four Percent Group Review helpful. In case you have any queries then feel free to let me know.